Location, location, location! Conveniently located near many restaurants, shopping, hospital, library, park, and just a short drive to I-10. 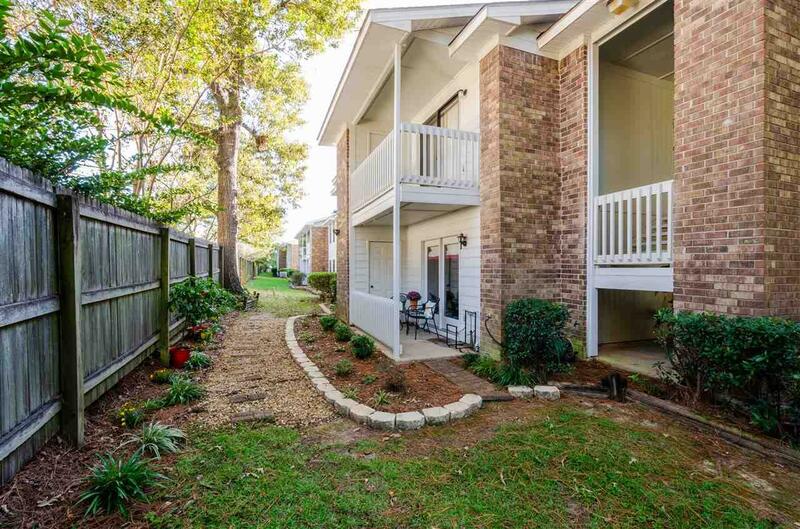 This unit is tucked away in the back corner of the complex offering lots of privacy. Unit has 2 porches - one on the front and one on the side providing a great location to enjoy your morning coffee. Inside you will find a lovely wood burning fireplace, parquet flooring in the living room, dining area, and both bedrooms. Kitchen is fully equipped and all appliances convey. This unit has been very well maintained. New water heater & dishwasher. All toilets, interior doors, faucets, hinges, doorknobs and interior paint is less than 5 years old. Association maintains the exterior building & grounds & dues cover building insurance, water and trash pickup. Exterior was painted one year ago. Listing provided courtesy of Elite By The Beach. Listing information © 2019 Baldwin County Association of REALTORS® MLS.